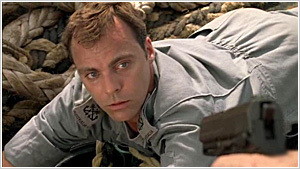 When HMAS Hammersley answers a distress call from Bright Island, Captain Mike Flynn and his crew discover a young woman lying paralysed on the beach. She is conscious but unable to talk, and despite their best efforts they are unable to save her. 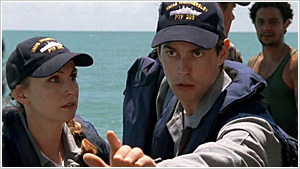 Thus begins new Executive Officer Lieutenant Kate McGregor's first day aboard a patrol boat, and CO Mike Flynn's obsession with the mystery of Bright Island. Something very odd is happening in connection with the Island. The Federal Police move in to investigate the woman's death, but no-one is talking. Her colleague, the striking Doctor Ursula Morrell, seems to know more than she's letting on, and Mike finds himself drawn to her cool beauty and her vulnerability. Notes: Sea Patrol launched with the second highest rated premiere episode for an Australian drama ever, surpassing the McLeod's Daughters debut (1.89 million) but second to Always Greener's 2.06 million viewers. Filmed from October 09, 2006 to February 09, 2007. The Hammersley uncovers a sophisticated drug smuggling network, with explosive results. Mike is convinced the Federal Police are covering up the poisoning death of a marine biologist. Kate is jealous of Mike's relationship with Ursula Morrell, while Nikki struggles to restrain her feelings for ET. The crew uncovers a murder mystery after finding an abandoned catamaran on the high seas. Nikki's navigation skills are tested when Mike insists on doing a search and rescue for a missing sailor. Spider has his first experience of a cyclone, and his first sighting of a ghost ship. Mike is torn between saving the life of a missing refugee girl, and the lives of two shipmates bitten by the deadly Irukandji jellyfish. Also, while pursuing pirates, the Hammersley rescues a family of illegal immigrants from an unseaworthy ship. Oops: the launch has 4 people in it when it leaves the patrol boat but 5 are aboard in the next shot as it approaches the "pirate" vessel. 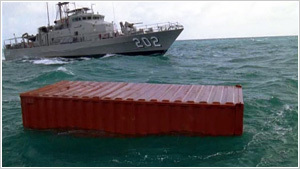 The HMAS Hammersley attempts the daring capture of an illegal fishing 'mother ship', but they are thwarted by violent eco-terrorists intent on sinking the fishing boat. Lingering effects from the Irukandji sting may sink Charge's career. Mike finds himself falling in love with beautiful marine biologist Dr. Ursula Morrell, who later goes missing under mysterious circumstances. The crew uncovers a people-smuggling racket when they almost collide with a floating shipping container full of North Korean refugees. The Hammersley races to capture the smugglers' ship and save the lives of their human cargo. Meanwhile, Kate is wooed by a charming civilian sailor, and Mike is determined to solve the mystery of Ursula's disappearance. The men of the Hammersley are smitten by a female sailor with a rescue fetish. Meanwhile, several crew members succumb to food poisoning — or is it something more sinister? Mike suspects a link between the food poisoning, a federal police murder investigation, and Ursula's disappearance. Spider saves the life of a boy after discovering an unexploded sea mine, washed ashore during a cyclone. Elsewhere, Kate is humiliated when she sees a video of Chefo's bucks night and Spider fears his career may be over when he is caught impersonating an officer. Disaster looms for the Hammersley when a fire erupts in the engine room, after the mascot is stolen by a rival Patrol Boat crew. Meanwhile, an eye injury threatens to destroy Charge's career, and ET takes a vow of chastity to prove himself to Nikki. 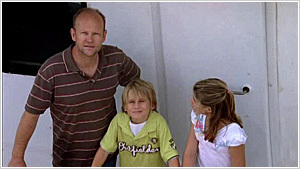 The crew pursues a distraught father who has kidnapped his own children. Then, while searching a crocodile-infested swamp for the missing family, the crew discovers a badly mauled fisherman. Who has dumped him there, and will they save his life? Also, the mystery of Bright Island deepens when Mike discovers the body of a dead man. The Hammersley saves sailors from a sinking ship, only to learn they are diamond smugglers who will kill to save their cargo. Swain is kidnapped by smugglers and left trapped in their sinking ship. Will Buffer rescue him before the ship sinks? Meanwhile, Mike is reprimanded by navy brass over his obsession with the Bright Island mystery. The Hammersley races to save a boatload of tourists from being murdered as part of a bizarre terrorist publicity stunt. Meanwhile, Swain and the crew help deliver the baby of a runaway teenager, found lost at sea with her criminal boyfriend. A series of emergencies at sea prevent Swain from attending the birth of his first baby. The crew risks life and ship to hunt down a rogue terrorist boat and retrieve its cargo of bio-toxins. Mike makes the most difficult decision of his career when he orders the sinking of the rogue ship. 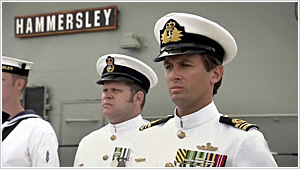 Meanwhile, it's an emotional time for the crew as the navy officially decommissions the long-serving HMAS Hammersley.